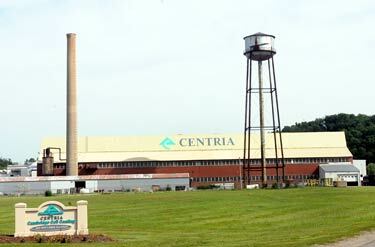 Guernsey County offers three local tax incentive programs designed to supplement state tax incentives, depending on the location and type of your business. The Community Re-investment Area includes the city of Cambridge and portions of Guernsey County. The Rural Enterprise Zone includes all Guernsey County Townships and the City of Cambridge and the Village of Byesville. The Foreign Trade Zone area includes 130 of the 217-acre D.O. Hall Business Park. The State of Ohio offers several loan and grant opportunities attractive to business development. These may be accessed through initial contact with the Community Improvement Corporation or Port Authority. We will act as your liaison with the Appalachian Partnership for Economic Growth, which is the outreach organization for JobsOhio. This team will ensure that you are apprised of all incentive and loan programs available at the State level, to include: Job Creation Tax Credits, 166 Direct Loans, and training grants to name a few. Information regarding these programs is posted on the Jobs Ohio web site at www.jobsohio.com State or local application fees may be applicable for some programs. Guernsey County is one of a few Ohio counties that can continue to offer Community Re-investment Area tax abatements of 100% of applicable real property tax for 15 years (12 years for retail and commercial projects) for qualifying construction. This applies only to the geographical area in the certified Guernsey County Community Re-investment Area as of July 1, 1994. Expansion of a business by adding land, building, machinery, equipment (excluding inventory) equal to or exceeding 10% of the market value of the facility. Renovations or alterations of an occupied structure equal to or exceeding 50% of the market value of the structure. Renovation or alterations to occupy a vacant structure equal to or exceeding 20% of the market value of the structure. City of Cambridge and portions of Adams Township, Cambridge, Center, Jackson and Wills. A Foreign Trade Zone (FTZ) is a tool that companies use to increase their global competitiveness. An FTZ is a site within the U.S. that is legally considered outside of Customs territory so goods may be brought into the site duty-free and without formal Customs entry. 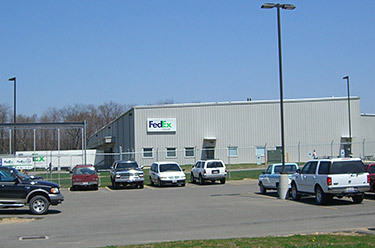 Once merchandise has moved into an FTZ, companies can perform any process, such as repackaging or assembly, to prepare it for distribution within the U.S. or exportation. Reduced Customs Duties – Reduction of customs duties on foreign components that carry a higher duty rate than the finished article (inverted tariff principle). Duty Avoidance – Merchandise imported into a zone can be re-exported from the zone, completely avoiding duty charges. Goods can also be destroyed without paying duty. A state application fee and a local economic development fee are assessed.